W2W4: Chivas take on Monterrey; Veracruz to snap winless run? W2W4: Can Cruz Azul get back on track? Liga MX W2W4: Veracruz drama cure for crisis-ridden Chivas? Clausura awards: Best player, boss and more! As MLS and Liga MX mull a new tournament like the SuperLiga of the mid-2000s, Taylor Twellman says the time is right for a new competition. MLS commissioner Don Garber and Liga MX president Enrique Bonilla speak of their hopes of bringing unity to the two leagues as they announce the Campeones Cup. Veracruz's 2-0 loss to Liga MX leader Leon on Sunday condemned the team to relegation and brought tears to the eyes of young goalkeeper Sebastian Jurado on the final whistle. 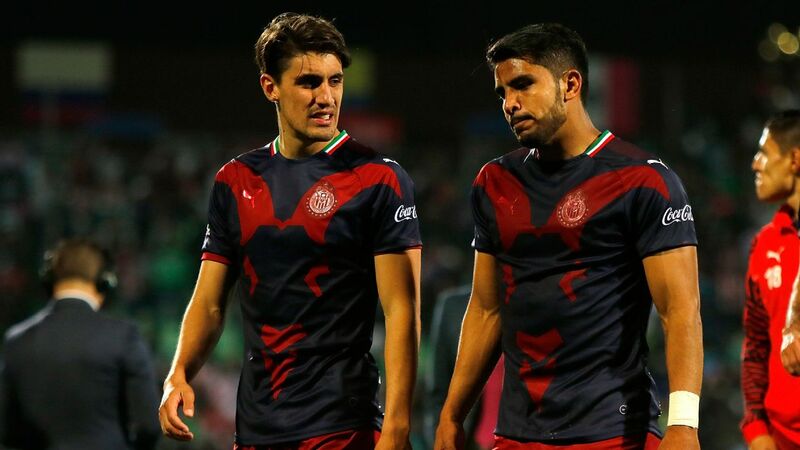 But Los Tiburones Rojos are likely to remain in Mexico's top division, as long as the club pays 120 million Mexican pesos (just over $6 million) to keep its place in a league looking to expand from 18 to 19 teams for next season. "[Club owner] Fidel [Kuri] has the money to pay, but the idea was to save the team from relegation in a sporting sense," said head coach Robert Siboldi after the game. "I've got the project ready for next season, I signed up until December." Liga MX wants to expand to 20 teams eventually and league president Enrique Bonilla has stated that this season's relegated team would be able to pay its way to remain in Mexico's top division, even though that isn't in the league's regulations on its website. Veracruz hasn't won any of its 11 Liga MX games this season, but Siboldi is confident that next season the club can turn things around. "We did what we could, with ups and downs, but always giving our best," Siboldi said. "Next season a lot of things will change, this tournament was a learning experience." Atletico San Luis won the Ascenso MX -- Mexico's second division -- Apertura title and will face off against the winner of this season's Clausura for a place in Liga MX. San Luis is one of the nine Ascenso MX teams that have been "certified" and can take its place in Liga MX. If one of the non-certified teams ends up winning promotion, Liga MX looks set remain at 18 teams, as long as Veracruz does pay.